Pets May Help People With Mental Health Issues; These Foods May Help Too! According to a study published in BMC Psychiatry, your pet may be good for health. The researchers suggest that pets provide benefits to those with mental health conditions. According to a study published in BMC Psychiatry, your pet may be good for health. The researchers suggest that pets provide benefits to those with mental health conditions. According to the researchers, there is increasing recognition of the therapeutic function pets can play in relation to mental health. However, there has been no systematic review of the evidence related to the comprehensive role of companion animals and how pets might contribute to the work associated with managing a long-term mental health condition. The researchers aimed at exploring the extent, nature and quality of the evidence implicating the role and utility of pet ownership for people living with a mental health condition. For the study, the study team systematically reviewed 17 international research papers, to identify the positive, negative and neutral impacts of pet ownership. 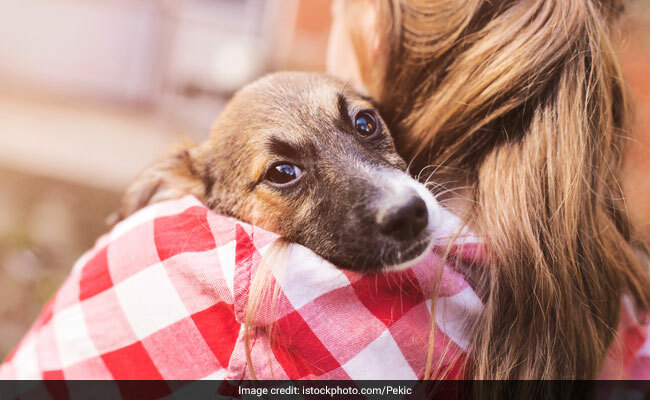 The research highlighted the intensiveness of connectivity people with companion animals reported and the multi-faceted ways in which pets contributed to the work associated with managing a mental health condition, particularly in times of crisis. Carbohydrates tend to increase serotonin, a brain chemical that has a calming effect on mind, which is why people crave for carbohydrate rich foods when they are under a lot of stress. Healthy fats, which may include omega-3 fatty acids become part of the membranes of brain cells and control various brain processes. Some of the foods that are known to be great sources of healthy fats include fish, nuts, soybeans, etc. If you are constantly experiencing stressful situations in life making you sad and lonely, eating chocolates may help elevate your mood. These delights tend to stimulate the production of endorphins, the chemicals that are harbingers of pleasure and happiness. Eating colourful foods plays a major role in boosting your mood. Add more colours to your salads or fruit- bowl- greens, reds and yellows and see your mood changing instantly. Phytochemicals and antioxidants present in these foods protect your brain from free radicals and help fight against mental disorders.